For a limited time, Diet Coke cans will be wrapped in a fashionable new design. 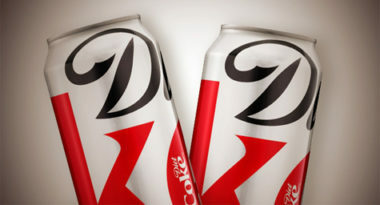 Adweek.com reported on why the world’s best-selling diet soft drink brand received a more modern makeover. Coca-Cola is being surprisingly secretive about what drove the new design, which features the traditional aluminum with an arty twist to the logo. Cases of these cool cans are being sent to trendsetters in the fashion and design industries to create a sense of chic style, yet little else in known about what inspired this new look. While it may have changed its appearance, the Diet Coke beverage has not been altered at all, which shows that what’s on the inside really matters most. Read Robert Klara’s article in Adweek.